'Suicide Squad' "One Month" Harley Quinn Poster. 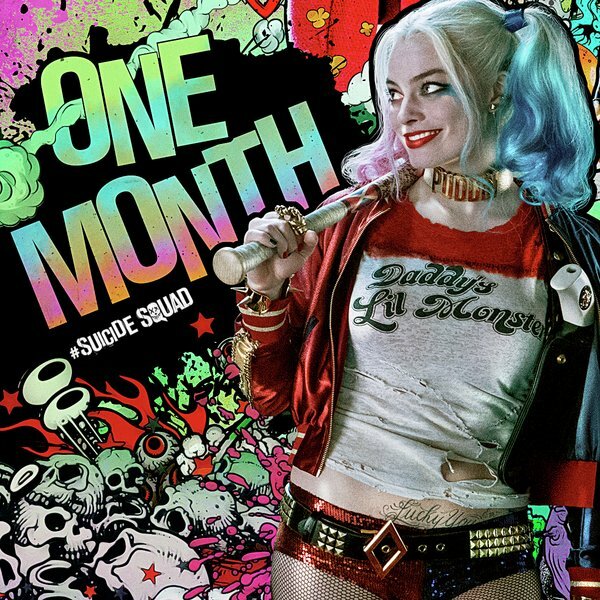 The countdown continues.... Wallpaper and background images in the Suicide Squad club tagged: photo suicide squad 2016 movie film harley quinn margot robbie one month countdown promotional poster. This Suicide Squad photo might contain मोबाइल फोनों के लिए, हास्य पुस्तक, मंगा, कार्टून, एनीमे, कॉमिक बुक, and manga.